They provide Uber for drop off and pick up for your car services. I live in Cerritos and still come to this dealer because the service they provide is exceptional. Also they do have courtesy vehicles but it’s first come first serve. Barry Murphy was very kind and straightforward with all that I needed. Barry is one of those service advisor that everyone should have! They updated their building and is very nice. Oscar Hernandez provides outstanding customer service! When I came with my damaged tire which needed to be replaced and with no key to remove the lock from the wheel 5 minutes before the closure of the service department he immediately calm me down, found the key and replaced the tire! He was very professional, courteous and efficient!Thank you again Oscar! Welcome to Mercedes-Benz of Los Angeles. If you’re looking for a Mercedes-Benz in Los Angeles, stop by our dealership where customer satisfaction is our number one priority. Find all the information you need right here to make an informed decision about buying a new Mercedes-Benz or used luxury car in Los Angeles County. 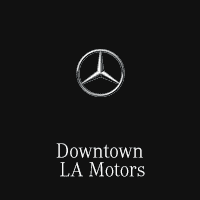 Our Mercedes-Benz car dealership in downtown Los Angeles serves all of greater Los Angeles. Have questions? Call us at toll-free at 1 (888) I-LOVE-LA or 1-888-835-8640. At Mercedes-Benz of Los Angeles you will find your favorite Mercedes-Benz models at competitive prices. Take a test drive at our greater Los Angeles Mercedes-Benz dealership in a 2017-2018 Mercedes-Benz and browse our inventory of E-Class, C Class, CLS, Sprinter and Metris models and more including Mercedes-Benz BlueTEC® Diesel. The Mercedes-Benz of Los Angeles sales people are ready to answer your questions about a particular model and find the Mercedes-Benz in Los Angeles that meets all of your expectations. For a large selection of new and used Mercedes-Benz sedans, SUVs and coupes in Los Angeles, including the popular CLA, E-Class Coupe, C-Class Sedan or SL-Class Roadster SUV visit our dealership today. Searching for a used car in Los Angeles? Start and end your search with Mercedes-Benz of Los Angeles. With a huge selection of low-priced, high-quality vehicles, we are certain that we can locate a used car that suits your taste. Our greater Los Angeles used car inventory has cars, trucks, SUVs and vans by many of today’s top automakers. If you have not been able to locate a specific new luxury SUV or used sports car in Los Angeles we are at your service. Complete our no-obligation Vehicle Finder form and we will alert you by email when a matching vehicle arrives at our Los Angeles Mercedes-Benz dealership. Looking for a car loan in Los Angeles? By working with lenders and understanding your needs, we can create customized loan and lease programs suited to your situation. Our finance department can adjust variables to make sure your loan will fit your lifestyle. The term can be extended to lower monthly payments, or you can pay a little more to shorten the duration of your loan. Come speak to the experts at Mercedes-Benz of Los Angeles about Mercedes-Benz financing in Los Angeles. Call us at (888) I-LOVE-LA. Get professional Mercedes-Benz repair in Los Angeles at Mercedes-Benz of Los Angeles state of the art service facility. The Mercedes-Benz of Los Angeles technicians provide professional auto repair for Downtown Los Angeles. Experts will correctly identify your vehicle’s problem and make a repair as quickly as possible. Schedule Mercedes-Benz car repair in Los Angeles by completing our online service application. Mercedes-Benz of Los Angeles offers a complete inventory of Mercedes-Benz car parts to repair your sports car luxury SUV. These OEM car parts and Mercedez-Benz accessories will keep your vehicle running at peak performance, and looking sharp, for many years to come. We are proud to serve the greater Los Angeles area. If you are from Los Angeles, Inglewood, South Gate or Bell Gardens read about us, visit our dealership at 1801 S Figueroa St., Los Angeles, CA 90015, or give us a call at (888) I-LOVE-LA or 1-888-835-8640. Our team is available to answer your automotive questions. Thanks for visiting our site.